Families today “do church” in a variety of ways. Some attend traditional churches while others meet in small home group settings. Still others worship with just their nuclear families in their own home in what has come to be known as the “home church” movement. These families read and study the Bible and pray together each week in the comfort of their own living rooms for a variety of reasons. Some have been turned off by the traditional setting of church, some see the church as being full of hypocrites and others want to teach their children their own variety of religion, undiluted by the doctrine taught in particular churches. Sometimes this “home church” method works well and other times families eventually fall into skipping their worship time and just using that day for relaxation or recreation. So, is it really important to go through the hassle of packing the kids off to church each week? And if so…why? Well, that is a good question. There is certainly a place for Bible reading and family prayer time in our homes…of that there is no doubt. But I believe that local churches enrich our lives in some very important ways and that it is scriptural to be a part of a local body of believers uniting with others in corporate worship and fellowship. Educated in the ways of the Lord. Through the preaching of the Word we can learn about God’s plan for mankind, his purpose for our lives, and how to navigate life with joy and peace. We can learn the story of Jesus Christ from his birth in Bethlehem to his death on the cross and what that means for you and I. And if you are looking for deeper study in a small group setting, most churches offer this, as well. Enlisted in the workforce of the kingdom of God. When we become a part of a church, we can discover our spiritual gifts and how we can use them in the body of Christ (the church) to further the kingdom. This will inevitably bring joy, fulfillment and a sense of purpose to our lives. You see, you have a vital role to play in the church and if you are absent, it is as if a part of the body is missing, and therefore can’t function properly or complete it’s work. Maybe you are a person who loves to serve and could help on the “set up” team for Sunday mornings or the kitchen committee, or maybe you are gifted with mercy and would enjoy ministering to the elderly and the sick. Perhaps you are great at organization and are at ease in front of a group. You might want to head up the ladies ministry at the church. There is much to be done and there is a place for you. Enveloped in the loving arms of fellow believers. As we walk through the hills and valleys of life, we need people to walk alongside us for support and encouragement. The church is a wonderful place to develop those nurturing and caring relationships. Sometimes our own families are not as supportive as we would like them to be in times of crisis (They can get kind of tired of us! ), or they don’t live in close proximity to us. When that happens, your “church” family can stand in the gap, providing practical support and prayerful intervention. Many people find that over the years, their fellow church members become their best friends. That has certainly been the case with our family. Equipped to share the good news of the gospel with others. What do you think? 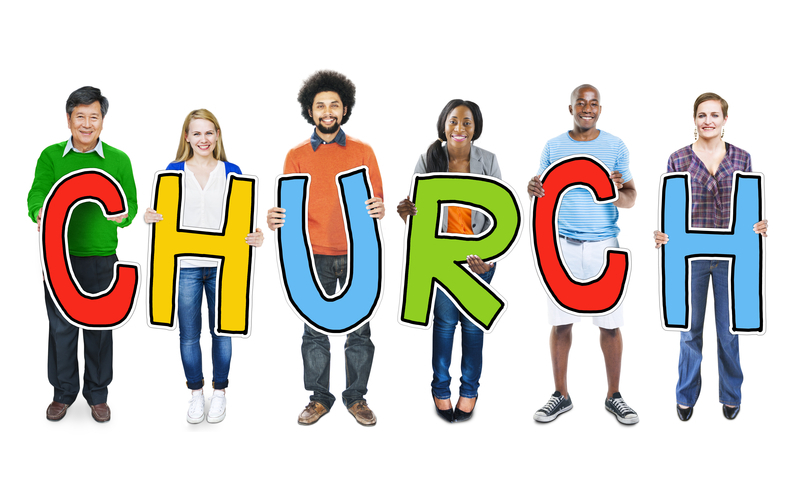 Is it important for you and your family to be a part of a local church? Do you “home church” and think I am totally off base? Let me know your thoughts. This entry was posted in Church Life, Parenting, Spiritual Encouragement and tagged church, early Christians, parenting, today's culture. Bookmark the permalink.